Swiss Army Mountain Water for Her EDT Spray is a clean and fresh scent made for women. 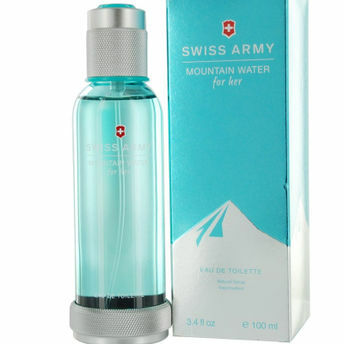 Soft blossomy scent lingers around for hours and gifts you crystal clear freshness of mountains. Icy mountain air wafts around you and awakens your senses. Leaves you with a cool, refreshed feel. Additional Information : Since its inception in 1884, Victorinox has delivered best quality products to its customers worldwide.